Glorious sunshine in Bransdale. Across the dale, the ruinous Stork House soaks up the warmth. 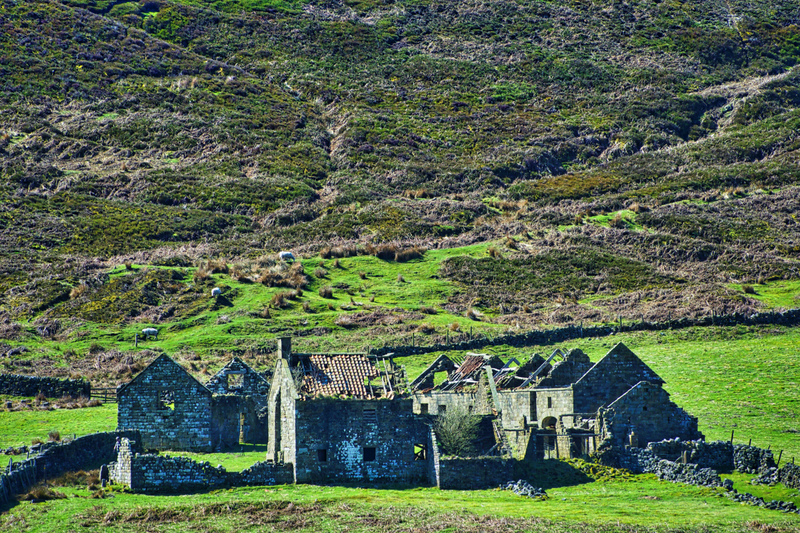 This must be perhaps the most desirable site for development on the North York Moors. Of course, being a National Trust property it can not be sold and renovation would be very expensive. The Trust acquired the Bransdale property in 1972 in lieu of death duties of the estate of the late Earl Feversham. In 1993 the Independent reported disquiet over the neglect of Stork House which dates from the mid 19th-century although the site itself is thought to be medieval, a monastic grange of Rievalux Abbey.